Well, December 22 is finally here. What’s the big deal with the date? It marks the first time in almost six months that I have meaningful time to work on the things I care about — things like blogging, reading and research, keeping up with my languages, and daring to think about writing my next novel, or any other book for that matter. Before you get excited, realize that this respite will last only a month before things will revert to what has become my new normal. Still, it feels like a Christmas present. In what follows, I’ll describe my situation and then how to fix it — and announce a new opportunity for you and others to make a solution possible, a solution that can change my life and, hopefully, the lives of a lot of other people. I apologize ahead of time for the length of this post, but you can consider this a sort of “heart to heart” with my audience. (I looked – this is the longest post in the history of my blog). For months now I’ve basically had my personal time drained away. I’ve managed to keep the podcast going, but to be honest, if it were not for Trey and the feedback from many of you that I’ve received about it, I would have quit it again. I’m glad I didn’t. The problem is my online teaching situation (I teach for two schools; this doesn’t concern MEMRA). It used to be that the time commitment for that was only a few hours a week. The end of a term (the modules are eight-weeks long and run the entire year consecutively, except for mid-December through mid-January) was the lone exception. Papers are due then. It’s not uncommon to have 30-35 hours of work to do over that three-day weekend. But I could plan for that. For the most part, I could count on about 15-20 hours a week (evenings and weekends) to devote to personal projects. (I don’t watch TV except for sports highlights – even that was spotty – my Naked Bible fantasy football team wasn’t very competitive this year). But nearly all of that time is gone now, a change brought on by new grading requirements, the details of which I won’t bore you all with. I have managed to keep the podcast (which I do over lunch time at work, but I spend an hour or two prepping for it). The podcast and the bibliography tagging are all I have been doing in terms of my own interests – and you, my true audience. I rarely blog now, other than to announce something. Comments on the blog go unanswered for too many days (I’ll hit them again today after posting this). I’m hundreds of emails behind. I haven’t made headway on any new project (see the list below) or done any serious reading or research in months. I like helping online students, but I’d rather be using the time I devote to grading to helping you folks learn something. You’re my real audience and classroom, though that’s become something of a fantasy. It’s all pretty frustrating. The good news is that the potential for this to change is real – if enough people care. But before I get to that, I want to sketch out a few things: (1) What I know I’ll be doing in 2016 for my audience, and (2) things I hope to do someday. (I say it that way, because under the present circumstances, that’s the most I can say). 1) The Naked Bible podcast is secure. Trey and I will continue doing one episode per week. We’re committed to it. The same goes for Mr. Tudor, the person who stepped up to volunteer to produce transcripts. They both make the podcast possible and something that can be grown. What did the scientist/scholar conduct research on? What were the parameters of the experiment? At the end, what could they say or not say? What research is needed as a follow-up? Has anyone pursued that research yet? Are there implications for a biblical worldview? In a nutshell, when it comes to paranormal talk, no one does this. Everyone only speculates. It’s time for something different—and better. Peeranormal will not be weekly. We plan to do an episode once every month, maybe every two months. We’ll see. The show will also have a third co-host. Cris Putnam, Natalina Hansen, and Brian Godawa have agreed to rotate in, depending on the topic. 3) More work will be going into the website. This is necessary in view of several things that follow. My webmaster, Joe Fioramonti, has been a Godsend. He put months of time into revamping the site a few years ago (for free), and has continued to support it. He’ll be adding some pages in 2016 and helping me start an email list. It probably amazes some of you that I don’t have one. Hey, I never claimed to know what I was doing. I know it needs to happen, so look for that in the future. 4) I’m going to start experimenting with video. I say “experimenting” because that’s all it will be until my time problem goes away. Because of the generosity of those who donated to the divine council bibliography project, I was able not only to produce the 60 Second Scholar series, but I got some low-end video equipment, enough to create a makeshift “studio” in my garage. I’m not sure yet what I’ll do with it. In theory, once it’s set up, I could walk in and shoot a brief video every night. I’ve already decided that the short-lived Cinematic Theology podcast I started with a local friend (Rich Baker) will now be shot in the studio. We’ll try and do an episode every two months. I’ll be looking for someone to edit the video (and will pay them something of course). But all that is low-hanging fruit. I need to be doing video with an intentional plan or agenda. Tom Horn and Derek Gilbert encouraged me last October to do something intelligent with YouTube. They’re right, of course . . . Which brings me to number five . . .
5) I’ll be creating three YouTube Channels. Derek Gilbert has offered to walk me through the process of creating Roku channels for them once they exist. Why three? They follow the three blog focus points. So, I’ll have YouTube channels for Naked Bible, PaleoBabble, and UFO Religions. I’ve downloaded 25-30 videos of my own lectures for someone to edit (add a title slide, that sort of thing) and distribute between the three channels. The same will happen to the video taken at the St. Joseph, MO event (haven’t forgotten about it – just haven’t been able to get to it yet). 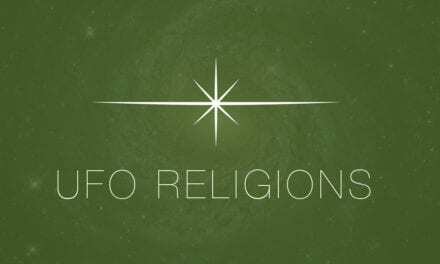 The Cinematic Theology stuff will live on that site and (likely) the UFO Religions channel. So, I can say that sometime in 2016 these channels will exist and have something on them. Beyond, these specifics, who knows? I’m open to ideas, but please realize that, until have time, even great ideas won’t happen. 6) I will do my best to blog once a week for each blog – posting something besides an announcement. But I can’t promise to do any thoughtful blogging at that pace. Doing that takes reading and research, and I’m not sure how much of that I can actually do. 7) I’m going to finish my rewrite of an article on Jesus’ / John’s use of Psalm 82:6 in John 10:34 for submission to a scholarly journal. I’ve chatted about this off and on. I can put some work time into this, so I’m confident I’m going to get this done and submitted. Here’s a listing, in no particular order, of what I’d be working on if time were no issue (really, if I was “doing what Mike does” full time). This one’s pretty obvious. It’s also the most out-of-reach at this point. People forget that I was researching and writing The Unseen Realm over the course of ten years. It didn’t happen overnight, so a follow-up volume (or volumes) won’t either. What I want to do is produce a second volume that both expands (drills down) on certain things in The Unseen Realm but which also adds more layers to what I covered in that book. As I noted in the early chapters, I view The Unseen Realm as a starting point — a book that gives people the lay of the land with respect to what the Bible is really about and what it looks like through the eyes of its original writers and readers. But it’s more broad than deep. (For an idea of what I’d include in a second book, go here.) A second volume would take a solid year of research (at least 20 hrs. a week) before I even start writing. As anyone who gets a glimpse of the divine council bibliography will validate, the amount of material to wade through is copious. A year’s research would be followed by at least a year commitment to writing (and perhaps not writing anything else while I’m working on this volume). I also have a third “divine council worldview” book in mind that would follow these two. I’d like to use the first two volumes as the well from which to write a systematic theology with the divine council worldview as the centerpiece. I’ve already talked to Ronn Johnson about co-writing that, as Ronn’s love is systematic theology. That would take a couple years to produce, but it would round out the trilogy nicely. It may sound more daunting, but something else I want to do in the arena of the divine council content of The Unseen Realm that’s actually (relatively) easier is to produce a commentary that covers the entire Bible. What I mean here isn’t a verse-by-verse traditional commentary. Rather, I’d like to go through the entire Bible and comment on anything that links back into The Unseen Realm or its potential follow-up volume. The analysis wouldn’t be deep – I’m thinking something on the level of the old 2-volume Bible Knowledge Commentary. It wouldn’t require much in the way of new research. The point of this project would be a quick reference tool that would answer questions like, “I wonder if this passage has anything to do with something I read in The Unseen Realm.” Basically, this “commentary” would serve to alert readers that there’s something going on in XYZ passage, describe that briefly, and then direct people to (perhaps accessible) literature for further research. This resource wouldn’t be as interesting as follow-up books to The Unseen Realm, but such a tool would be useful. Lastly, I’d like to write a “Barnes and Noble” type book on the divine council – something that discusses divine plurality in the Hebrew Bible (and continuing through the Second Temple Period and New Testament) as something consistent with Israelite monotheism and that informed Christian Trinitarianism. Oops … did I give away the title to the next novel? Maybe. That’s the title I like the most right now (other possibilities: The Alignment, The Template). At least I’m that far! Actually, I’ve gathered the research material for the next one. It’ll take a solid year to read through it (at 1-2 hrs a day) since it’s another 4000 pages. If you’ve read The Façade and The Portent, you won’t laugh when I say writing a novel for me is a little like writing a dissertation. They don’t just happen. They have substance because they are research-intensive. The Excluded Middle — My take on the paranormal / parapsychology and a biblical worldview. A book that talks about how to think well about inspiration and inerrancy more intelligently than what’s usually offered in that regard. Seriously. More Christians seem to lose faith on this one than anything else. Church “leaders” have only themselves to blame. A book that is basically a blueprint for how believers can do what they’re supposed to do as the Church instead of the Sunday morning experience that today we call church. For why I want to do this, see below under “Support Miqlat.” (Yes, Miqlat – you Portent readers have heard the name before). The (first?) serious book on newspaper reports about the discovery of giant skeletons. I’d like to hire someone to scour 19th century and early 20th century American newspapers for articles on the discovery of giants. I have a few dozen now, but there are databases and other resources I haven’t touched yet. The purpose would be producing a list of accounts with names, dates, places. Then I’d want someone to search anthropological and paleontological books and journals to track down if there were any dinosaur or large prehistorical mammals discovered in or near the same places where these giants were allegedly found. This in effect reproduces what Adrienne Mayor did in other locations. Lastly, I’d want someone to contact and / or travel to museums to identify as many of the dinosaur or large prehistorical mammal finds (i.e., where the specimens went and where they are). This project amounts to discovering if the newspaper accounts of giant skeletons are misidentifications of prehistoric animal specimens or not. Somebody needs to do this rather than be content with speculation. Frankly, this is a dissertation waiting to happen. I’d like to help get it done. A response to Younker’s recent article about why the solid dome of Israelite cosmology isn’t a solid dome. The article isn’t coherent and avoids raising questions and considering data that undermine its thesis. Younker is a Seventh Day Adventist, so he has a vested interest in defending ideas that important to young earth creationism. A response to Adair’s dismissal of the Sept 11, 3 BC date for Jesus’ birth (which derives from taking Rev 12 as celestial signage associated with the birth). He doesn’t raise any new problems (like the date of Herod’s death), but treats them in more detail than most. He does a good job. The problem is that the consensus date of Herod’s death (4 BC) and the one needed for the Sept 11 3 BC date (1 BC) are the same date. Recent research (especially in coins from the Herodian period) show that each date derives from different dating systems. In other words, this objection is vapor. But going through Adair’s detailed rebuttal will take time. A post discussing the general incoherence of Bart Ehrman’s thesis that the NT contrives the deity of Christ, and that such contrivance is demonstrable via textual criticism. Not only does Ehrman completely miss (or deliberately omit) the evidence for “pluriform deity” that is evident in the OT and ANE religions that are the foundation for the two powers in heaven or trinitarian ideas, but even if his few examples are demonstrable corruptions (in the gospels) he’s left with an embarrassing question: What about the rest of the New Testament? Even if you concede (and other NT text-critics have not) that scribes altered the gospels in a handful of places to make Jesus God, he has no such text-critical evidence for the rest of the NT. That’s hardly a coherent case. I could see this one becoming a journal article. I’d like to get an article published on the impact of ET disclosure on fundamentalist / literalist Christianity. I’d shoot for a military or political science journal, since a couple articles of that nature (What would happen to religion if there was an ET disclosure?) have been published in those sorts of journals. I think of this as my “Brian Scott article” for those of you who have read The Façade. Since I’m rolling out wish lists here, I’d love to not only produce courses on Egyptian Hieroglyphs and Akkadian (the latter in transliteration), I’d also like to return to offering courses on biblical content. Since this one would involve video, see below. Morphologically-tagged editions of the major Ugaritic religious epics (Baal Cycle, Keret Epic, that sort of stuff). Morphological tagging = adding grammatical information to each word. It’s not hard; it just takes some thought, which takes time. Morphologically-tagged edition of Ethiopic book of Enoch (1 Enoch. I’d have to learn Ethiopic for this one. The book of Enoch is complete only in Ethiopic. The Greek portions of 1 Enoch are already tagged, but no one has touched Ethiopic. Again, not awfully hard, just time-consuming. Create a WW2-Cold war database tailored to be useful for UFO research. This would be a database where people, places, events, and documents could be stored for cross-checking. In other words, if you could take fifty serious books on UFO sightings, Paperclip, the military-industrial complex, wingless aircraft projects (Nazi, American, and Canadian), and official government- intelligence inquiries into UFOs and put all the names, dates, places, document titles, and document numbers mentioned in those books into one searchable database, what might you find? I’d definitely need research help for this one. So where does this leave us? The obstacle to doing most of what you’ve read it time. I don’t have it. The only way to create time is to replace what currently siphons my time. My goal for 2016 is pretty simple: replace the income generated from my online teaching duties. In other words, I want my part-time job to be writing and teaching for you, not an institution. This is the most immediate path to once again doing useful things for my real audience. But for that to happen, I need monthly financial support from that audience. Here’s what you can do. 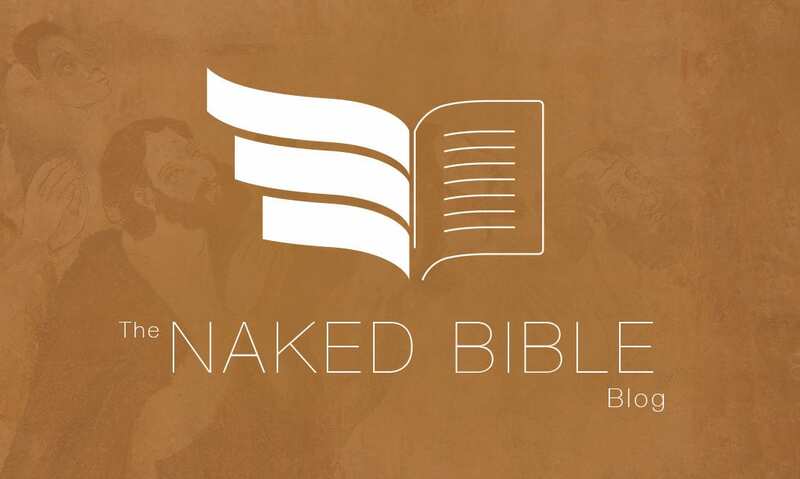 The effort to raise monthly support began a few months ago with the Naked Bible podcast. The podcast currently brings in between $600-$700 each month. I’m grateful for everyone who is donating $1 or more each month. In the past I resisted ideas like this. My argument was I didn’t want to replace church for people and take someone’s tithe. To be blunt, that’s turned into a lame argument. I’ve had a lot of listeners tell me that, like it or not, the podcast has become church for them (or at least their small group material). I’ll bet I heard that a half dozen times during the academic conferences in Atlanta this past November. I never expected it, but it’s changed my thinking. First, I can’t control what people do with my content, so why try? Second, I understand why people are doing this more acutely than in the past—they simply aren’t learning anything in church. I hate to say it, but it’s true. The Sunday morning experience we have culturally called church for generations is losing people with startling regularity. And I’m not talking about teenagers (a different, but related problem). When I meet someone who’s tired of playing church, who’s tired of not learning Scripture, I’m not going to debate them about how they fill that gap. I shouldn’t resist the fact that they are doing what they can to feed themselves and others. If my content does that for people, as either supplement or replacement, so be it. Trey feels the same way, so we are going to be making an effort to grow the podcast. In addition, once Peeranormal starts, I’ll be hoping that listeners will support that podcast as well. The math is pretty simple. If I had five hundred people support me at $5 per month, the equivalent of a latte per month, I could quit my online teaching jobs (and pay Trey something for his work). That gives me my time back. If I had two thousand people give me $5 a month, I could do what I do full-time and hire an assistant. It’s just numbers. But enough people have to care. I’m hoping a new development will encourage people to get on board. Three years ago someone out there in my audience (Greg Lyle), approached me with an idea. Actually, it was more of a challenge. Greg insisted that I start a non-profit that would allow me to devote more time to doing what I do, potentially even full-time. He offered to pay for the entire process, which included hiring a firm that prepares non-profit applications for states and the IRS and the expected fees. Since his business experience is in the financial sector, he told me he would use that experience to raise funds so that I wouldn’t be tied down doing that sort of thing (no doubt he sensed I’d be inept at it). To be blunt, I couldn’t wrap my mind around the value exchange. Maybe it’s because I’m Pennsylvania Dutch (German). Maybe it’s because my background is blue collar. It felt like taking something for nothing, or that I was putting myself before the local church. I know in my head that neither of those is the case. Pastors of course make their living via donations. So do lots of other ministries. I’ve just never looked at myself that way. I do what I know God wants me to do. It’s no more complicated than that. But I’ve hit a wall in being able to do things I know I not only can do, but need to do. Greg was more to the point: “Every year millions of people give millions of dollars to causes they care about—do you want people to give money to Joel Osteen or you?” Despite his compelling logic, I put him off for two years. But he wouldn’t let it die. Finally last November (2014) we met in San Diego where the academic meetings were being held. We went to sessions together and talked a lot about it. I finally told him that if he cared that much about the idea, he had my blessing. I had homework in less than 24 hours. It took months to produce all the paperwork, form a board, and jump through all the necessary hoops. I can now report, as of last week, that I have a bona fide 501c3 non-profit approved by the IRS. One of my conditions to all this was that my name not be in the title. I also didn’t want words like “ministry” in it. I do a lot outside the “churchy” box. We decided to call the non-profit Miqlat (a Hebrew term that means “haven”). If you’ve read my novels, particularly The Portent, that name ought to be familiar. I can’t say much more about the name lest I put spoilers in here. I know this will be easier for Portent readers to parse than others, but I’ll give it a shot. The first and most obvious question concerns what the non-profit is for. The short answer is “to give Mike time to produce the sorts of useful things that he produces now—with much more regularity and perhaps exponentially.” The non-profit is aimed at helping me do the things described in this post and to pay competent people who help me do what I do. My hope is that it will give me my time back so that I can produce content you all can use and disseminate. Put another way, it’s to repeat the experience of the Go Fund Me campaign, but in a more permanent sense. I can’t tell you how fulfilling it was to pay the folks who helped me produce the bibliography. It was a project I never thought would be completed. The response changed my thinking. By way of illustration, if I had the time I could produce two books a year, have more than one weekly podcast, and do something in video every week. I could engage the audience a lot more than I’m capable of doing now. I’d love my content in all areas to live in video. I’d love to return to biblical theology (and 1 Enoch) classes in MEMRA with video and include 4-5 hours of face time with MEMRA students via a video chat service. It would be great to spend some time every day on social media or my blog. I will likely start by creating video content for email list subscribers or those who donate to Miqlat. But this is the ground floor, so I’m still thinking about it. Ultimately, though, I think of Miqlat in much wider, far-reaching terms. My life’s goal is to write books and produce the equivalent of a seminary education in video. (My idea of what seminary should do, at least academically, is quite different than what happens now—in part because of what follows). I’d like millions of words and hundreds of hours video to exist on a thumb drive to just give away someday. Why? Because I think the day is approaching (faster than I used to think) where the serious Church will not be able to function publicly. If you follow my work, you know I’m not a “wacky, capital-C conspiracist.” I deal with reality and what can be documented. I care about data, not speculation. I don’t equate my imagination with factual reality. It’s certainly “documentable” that we’re living at a time when points of doctrine or exegesis are already being labeled as hate speech. It’s not hard to see how preaching the exclusivity of the gospel and refusing to turn biblical theology into something culturally palatable being lumped into that. Political correctness is strangling the freedom to tell the truth. I’ve seen polls from reliable agencies that do that sort of thing reveal that a startlingly high percentage of the population thinks freedom of speech and religion should be curtailed. It would be easy for a hostile federal government to deny a Christian college or seminary the ability to accept student loans—which would torpedo most of the institutions in those categories in short order. The same goes for churches and their tax-exempt status. I don’t see circumstances getting better. 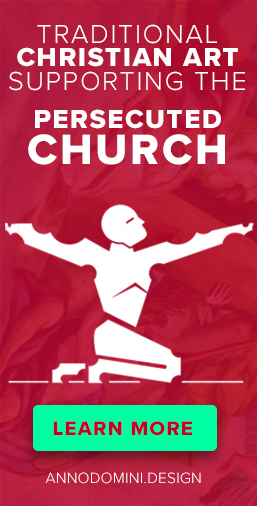 We live in a post-Christian culture and we need to face up to it. And the answer isn’t politics. Believers need to ask themselves a serious question: If we didn’t have buildings, budgets, paid staff, nurseries, etc., how would the believing community do what the Lord has commanded it to do? Believe it or not, in the future we’re going to need to function in an environment of intolerance. That means teaching and training in “off the radar” ways. All this may be decades away, but it’s wise to be thinking of what that would mean now. For my part, what I can do for the believing community is produce content. Without getting into the specifics of my own story, I believe that’s why I’m alive. It’s helped me be willing to take the consequences of caring only about the text. I turn 53 soon, so I figure I have 20-25 years to be seriously productive (Lord willing). That’s where Miqlat comes in. In The Portent, Miqlat is an intentionally off-the-radar group of people who, for one reason or another, can’t function in the organized, normal church—and they’re fine with that. Their philosophy is if you see something Jesus would do to help someone, especially in crisis, don’t ask permission or take it to a committee—just do it. In the story, that’s frequently dangerous (I’ve already had people ask me if that Miqlat exists—and if not, it should in their view). The fictional Miqlat does have real-life parallels. “Fern” and “Audrey,” for instance, have counterparts in the Miqlat of The Portent. They aren’t the only ones, either. The main character, Brian Scott (who is basically me), is taken in by this group. For reasons propelled by the story, his inclusion is overtly providential, and his contribution is what he knows about Scripture. The other members all bring something different to the group. Miqlat is therefore a metaphor for a network of believers committed to being the Church rather than attending a weekly event in a building referred to by that noun. Each of them has something unique to offer—and they do. They are uncompromisingly loyal to each other and to what they do. Over the years some of the most committed Christians I know have given up on church and just started their own ministry and do what they can to teach themselves. I sense there are a lot of folks in this audience like that. I want my Miqlat to be a resource for believers who are doing what needs to be done whether it’s recognized by a denomination or minister or not—because at some point none of that is going to matter. My role is to produce useful content (my area of strength), find others who can help me do that, and put serious, trustworthy believers doing all sorts of things that need to be done in touch with kindred spirits. Perhaps I will say more about the analogies I see in a future post. But the spoiler risk is high. I’m not sure that captures the idea. If not, I can take a whack at it some other time. If you’ve read The Portent, I trust it doesn’t require much more explanation. To wrap up, I need your help to be productive. My ability to produce useful things is directly linked to freeing up time. It’s that simple. I want my lost 15-20 hrs a week back. That’s what I hope is my reality at the end of 2016. If that happens, maybe someday it will be full-time. If people don’t support the effort with donations, I will in turn be unable to produce. What I do will never be more than the trickle it presently is. In practical terms, the podcast(s) will be folded into the non-profit. We’ll be adding a page on my website for Miqlat and coming up with a general way (outside the podcasts) to take contributions. They will all be tax deductible. I’m not sure yet (have to ask an accountant), but it may be possible to provide tax-deductible receipt to those who have already contributed to the podcast. I’ll keep you posted. If you want to help now, you can do so via the Patreon link at the Naked Bible podcast. Please tell your friends about what we’re trying to do here.